How does a senior health insurance program work? Home / FAQ / How does a senior health insurance program work? Senior Health Insurance Programs (SHIP) are usually run by state government departments of health or insurance and provide health insurance counseling services for Medicare beneficiaries and their caregivers. Basic Medicare, Medicare supplemental insurance, Medicare Advantage, Medicare Part D, and long-term care insurance are usually covered in depth for qualified people. If you are a senior citizen and are using, or planning to use, any of these services, you should check on the SHIP program available to you in your area. 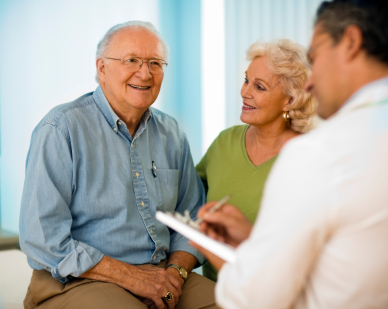 What do senior health insurance programs do for people? SHIP programs advice and counsel eligible senior citizens who need information and guidance in health insurance issues relating to the basics of Medicare, user selected options and in supplemental policies to help offset costs not covered by Medicare. They will assist you in selecting the right plans and options at prices you can afford. These services can even be provided in your home in some cases. They will also review and advise you on the implications of being on Medicare due to any disability you may suffer from. They will also help you to determine the status of your Medicare eligibility and when special enrollment periods may apply to you. Of particular note is the fact that every fall you may be able to change your prescription drug plan. Your SHIP counselor can help you in finding the best deal for you. There is the possibility that your insurer will change your drug benefits every year and drug prices fluctuate even more often, so check with your counselor to make sure you are getting the most for your premium dollar. If you should have any billing issues or suspect that something is wrong, do not hesitate to let your counselor know about it. State SHIP programs are run and staffed with trained professionals, however many states use volunteer counselors. The state department running the SHIP program makes sure these volunteers are qualified and meet certain standards they set down. SHIP programs exist in nearly every city and county in the United States so finding one shouldn’t be a problem. What does a SHIP program cost? Nothing, they are free of charge to the individual. SHIPs are paid for by the states and by federal grants from the Centers for Medicaid and Medicare Services (CMS) under the Older Americans Act. These programs were started to help Medicare beneficiaries and provide free, unbiased health insurance information and counseling services. Do SHIP programs sell or recommend insurance companies or policies? No, they are not affiliated with any insurance company and their advisers should not sell or promote any company or type of insurance plan. If you encounter any solicitation or product recommendations from anyone in a SHIP program, you should report this to the head of the program. How do I find one of these SHIP programs? Your state department of health should have a link to the SHIP program that they run on their website. You can also get in touch with them over the telephone; look in the state government listings of your local phone book for a number to call. You should be aware that in many cases the 800 numbers they list do not work from out of state. The Medicare website has a link to state listings. Another website with state listings is the Seniors Resource Guide website. You can also call, write or visit your local or state department of health and ask them to refer you to a SHIP program and counselor in your area. Do I qualify for senior health insurance?